Hi, my name is Dan. My wife and I decided 20 years ago to get in the rental industry to provide a great business opportunity for ourselves and to our sons. Therefore, as you can imagine, we are a family run business. Of course, we provide you with quality equipment, exceptional products and reasonable prices - that's a given and is just called customer satisfaction. But what sets us apart is our friendly service and knowledgeable advice - and that brings about customer loyalty - the ultimate rental experience. Call us just once and you will notice and experience the ONE SOURCE RENTAL difference. Do you own a small engine that just isn’t running like it should? Bring it in and let us diagnose the problem. 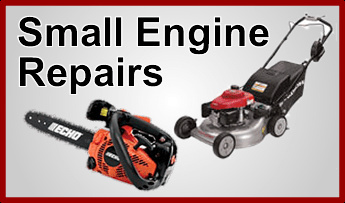 Call us at (616) 249-8004 to bring in your equipment for servicing.